Thank you for visiting my web site! 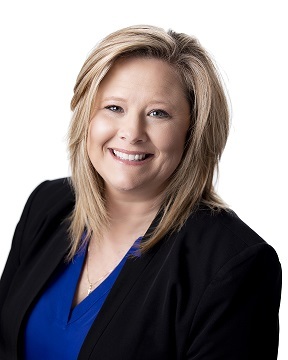 Please let me introduce myself, I am Stacie Appel full time licensed professional Realtor in Kansas and Missouri. I joined RE/MAX in 2017. At RE/MAX Excel, I enjoy using my expertise to help people buy and sell! My backround goes as follows: I grew up in Atchison KS, then moved to Upper Michigan and North Dakota to be a military wife, to only find my way back to Atchison. Where I met my current husband Greg and we have been together 20 years. I used to work for our local YMCA for Eight and Half years Supervising the gymnastics Gym for Six of those years and never gave up my passion for coaching. I went on into the Insurance world working as an Shelter Insurance Agent in Atchison. In 2016 I turned my interest of real estate into a career where I am dedicated to results. As a realtor specializing in residential properties. I have always brought abundant energy, creativity, Dedication, experience and personal knowledge to my work. You can be assured that I will stay on top of all the details of a deal, to provide a smooth and easy going transaction. Please don't hesitate to call me anytime on my cell. I look forward to hearing from you. Interested in knowing what your area market is like. Stacie Appel is an awesome realtor! She is knowledgeable, personable, and professional. From beginning to end she kept us informed of all information regarding the sale of our house. Our house sold for more than we expected, and it sold fast. I am the kind of person to stress about every little detail, and she was always reassuring. If we ever sell a house again we would call her in a heartbeat. Just an overall joy to work with. Thank you Stacie! You are truly one of a kind.